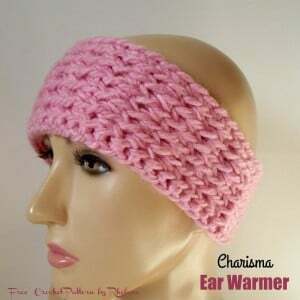 This chunky ear warmer pattern is given in a size to fit teens and small adults. However, it’s very easy to crochet this to any size you need. The pattern calls for a chunky yarn and a 6.50mm and an 8.00mm crochet hook.